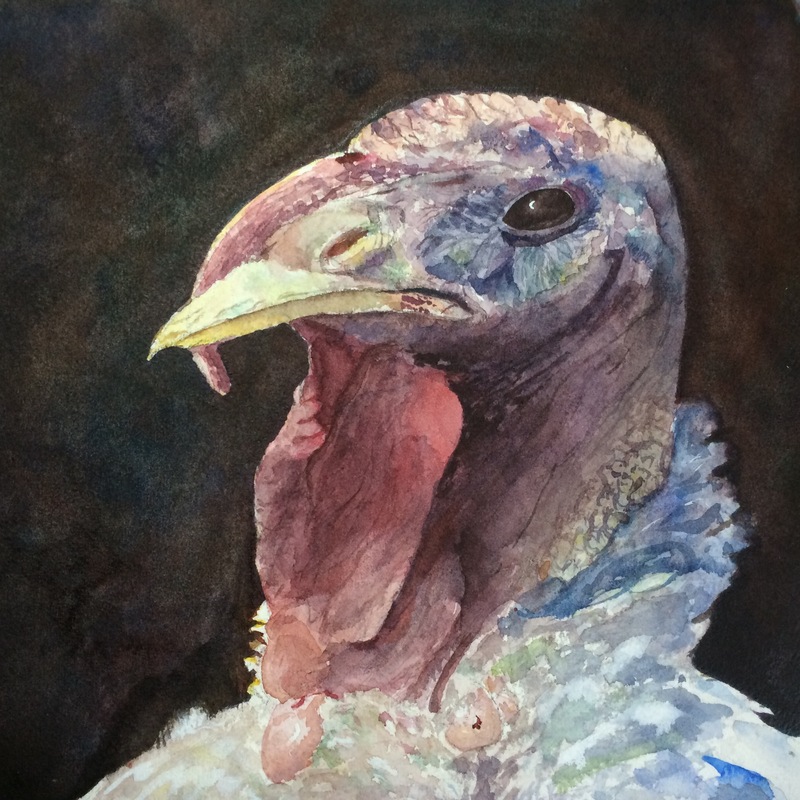 Thanks to everyone who offered comments last time on what to do to finish the turkey. I followed your advice and toned down the white and pulled out some highlights. I think I will leave it as is now and call this one done. Time to start a few more paintings! Previous Article Is the turkey done? wow! That looks good enough to eat. Did you and Katie both sign it? Did the girls conribute? Wow, Corey, this is a remarkable piece of work! Congratulations on a spectacular painting. I love the detail as well as the colors selected. You have to be proud. Thank you! That means a lot. I think this one helped me cross a threshold. I am glad you like it! I agree. You’ve crossed another threshold. I’m curious as to the colors you used to create such a rich, warm and dark background. They really worked. Thanks. I will do a post to answer this question, as the answer seems like it will be broadly interesting. I tried to base it on the background you did for your most recent fly fishing still life, but I have different pigments so it was my best attempt. I think perylene maroon and Prussian blue were the keys to the darkness, and nickel azo yellow was the key to the warmth, but there were a few more in there, and the uneven application of paint probably made a difference too, allowing different colors to come through in different places.